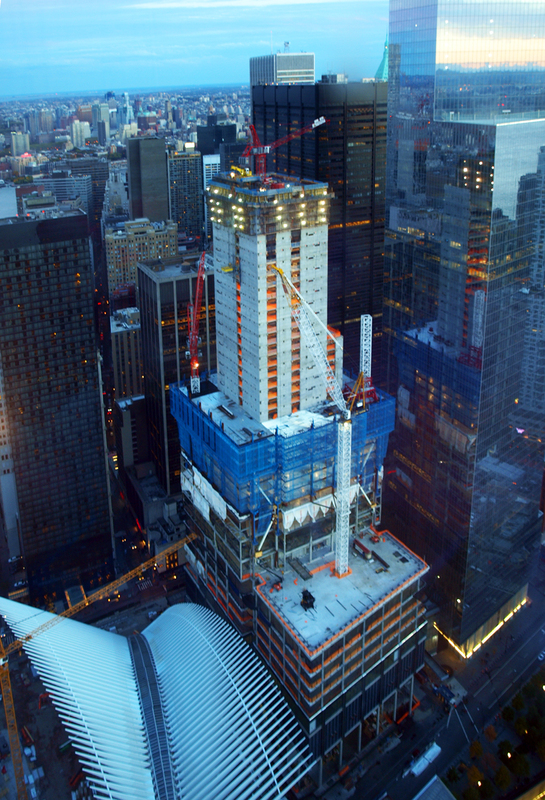 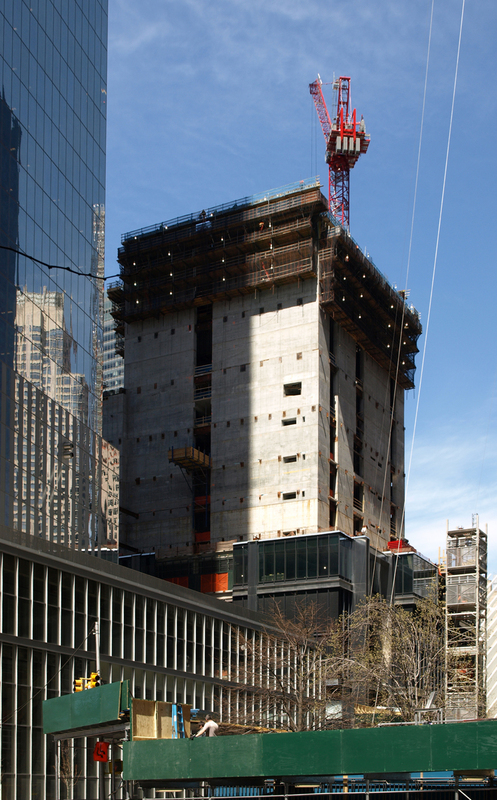 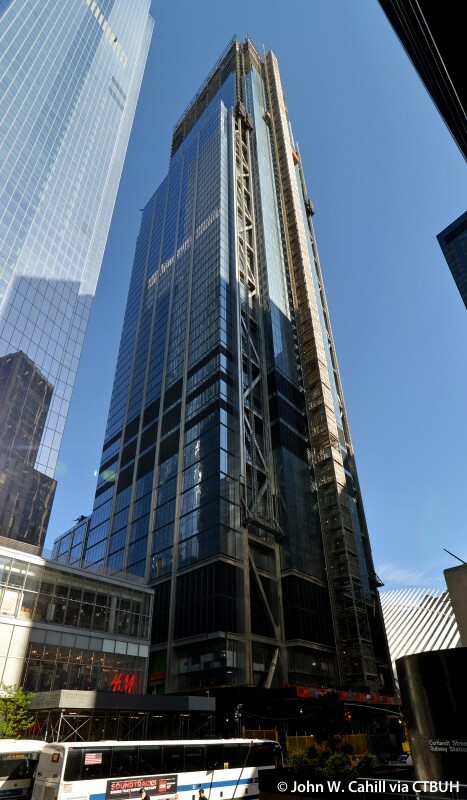 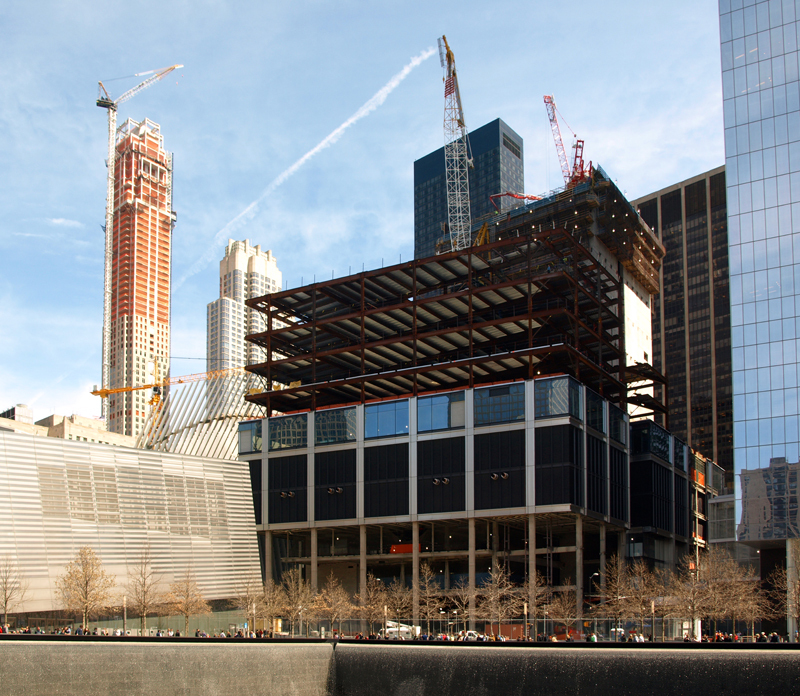 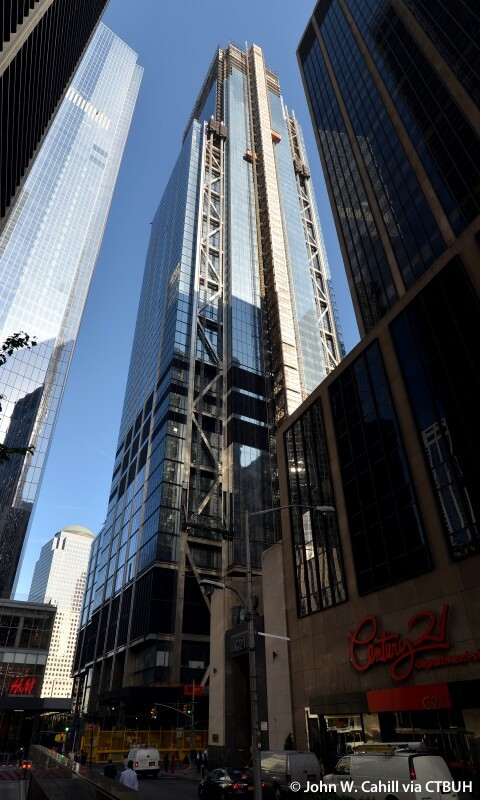 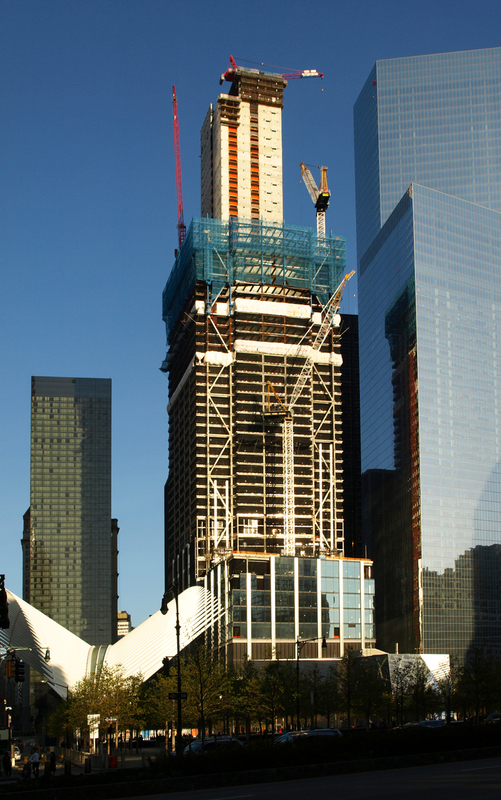 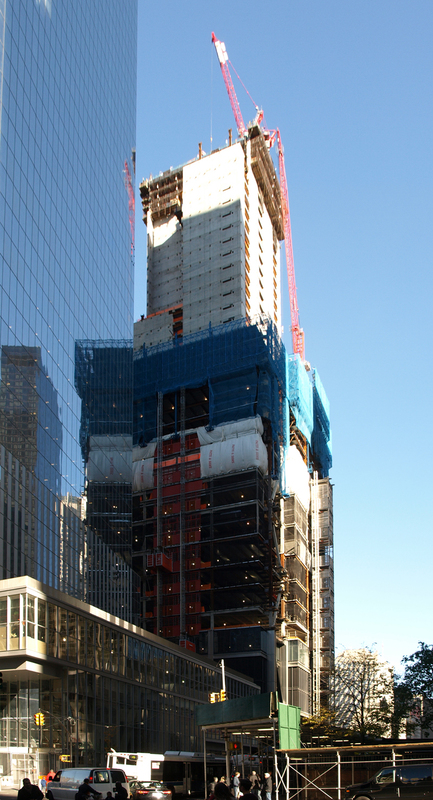 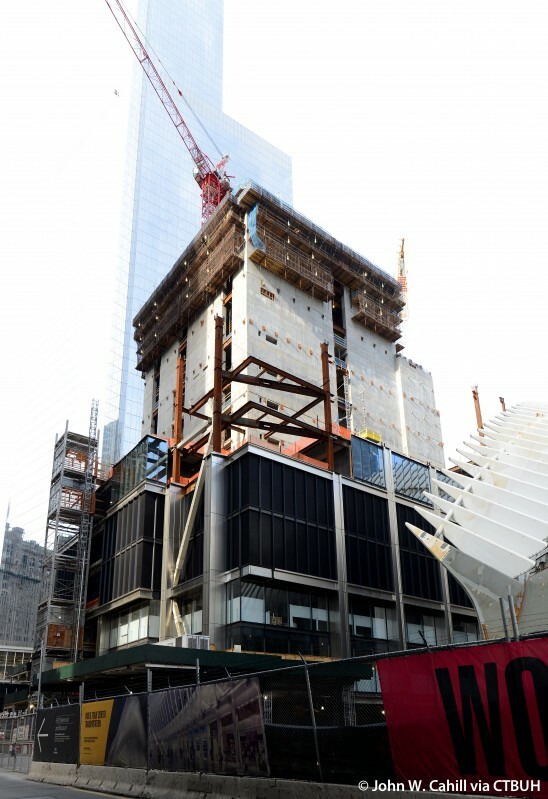 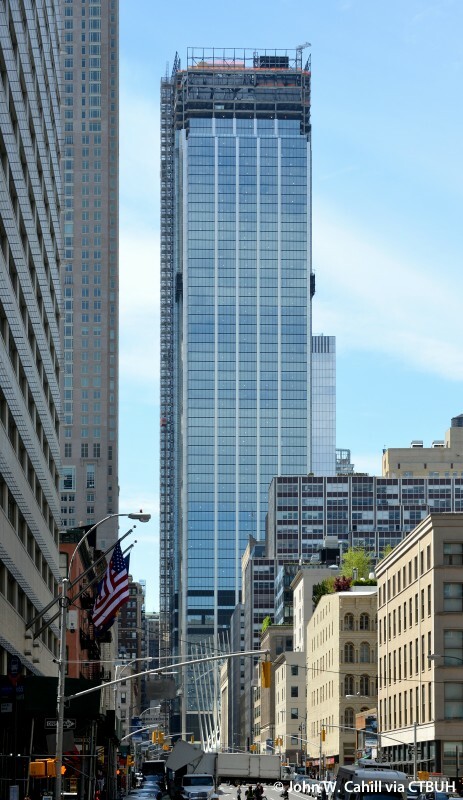 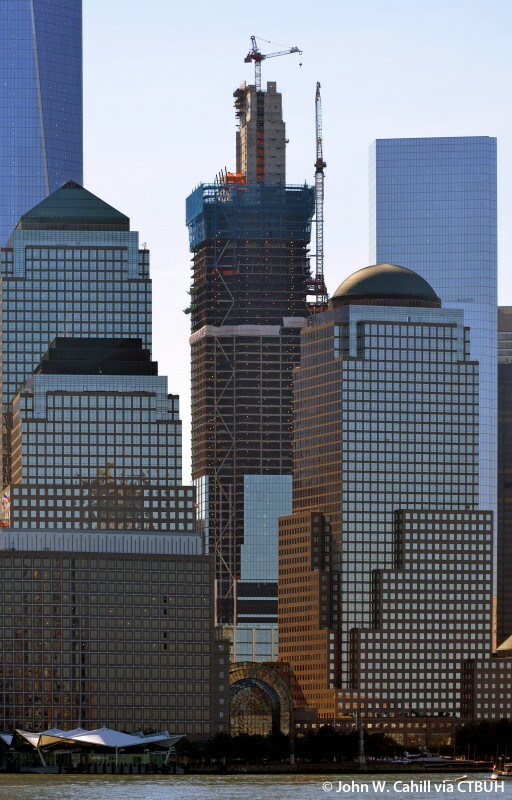 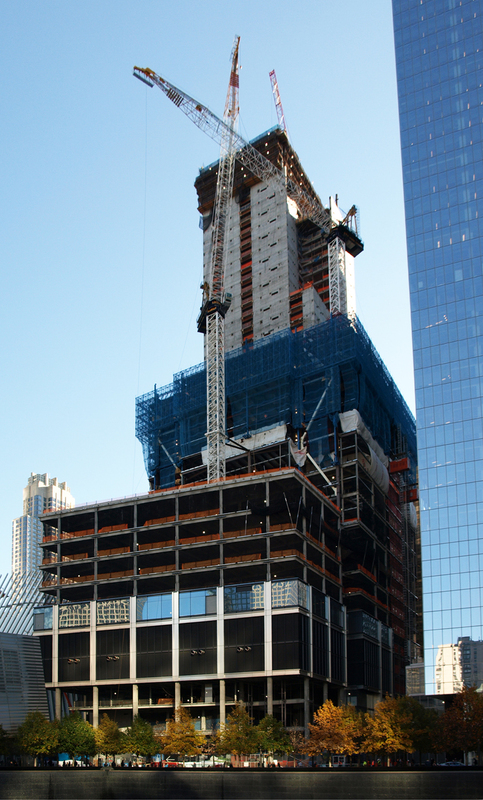 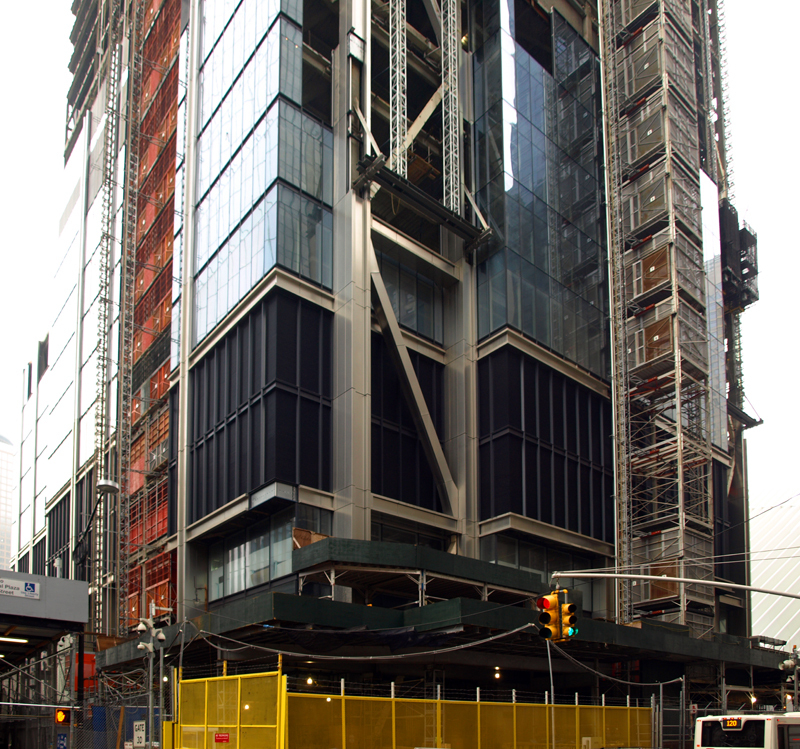 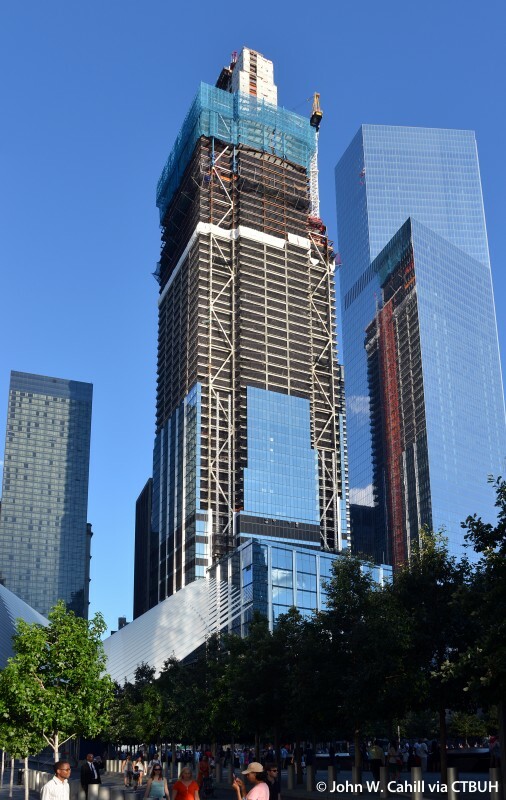 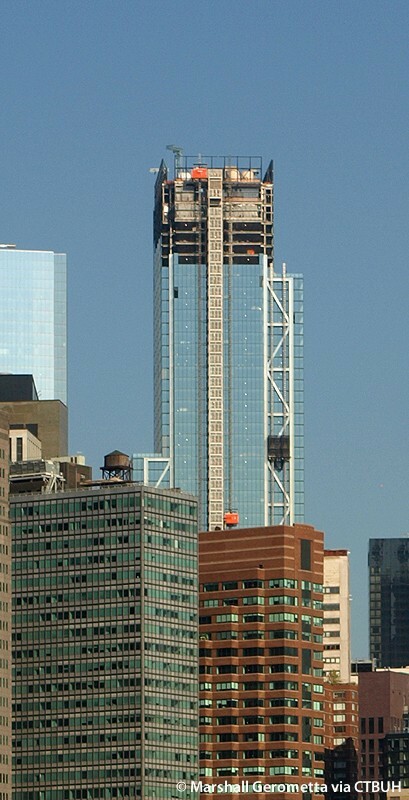 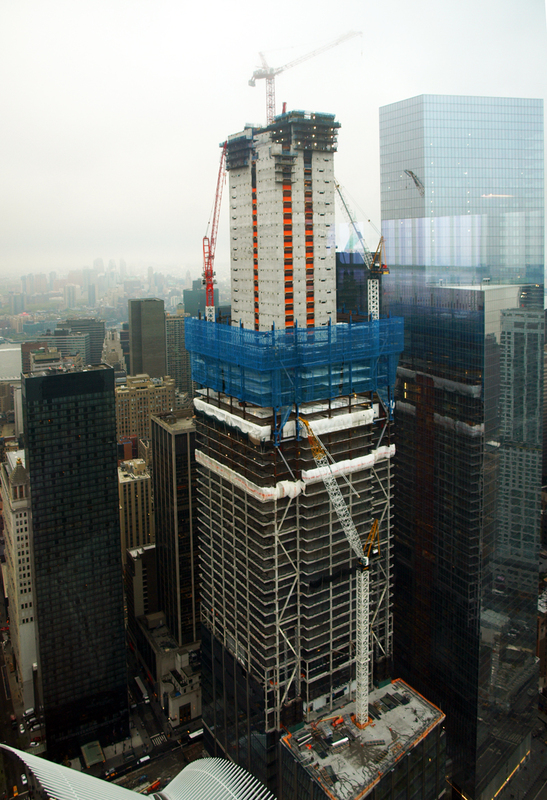 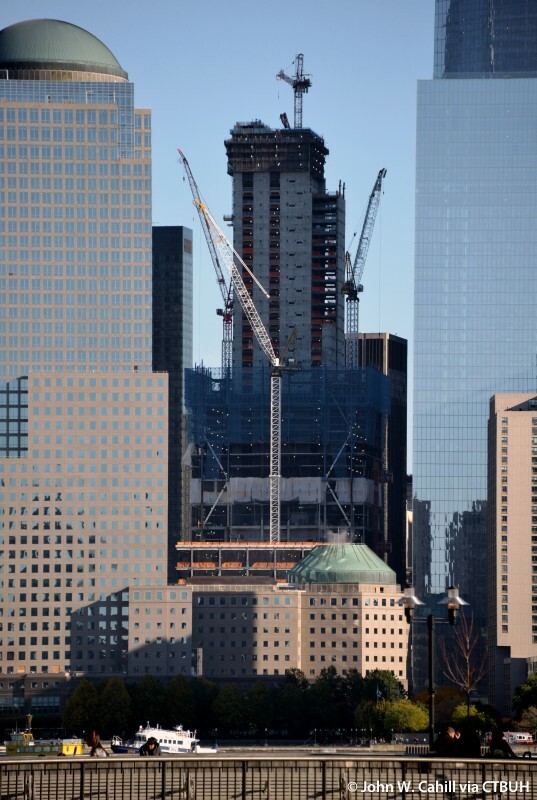 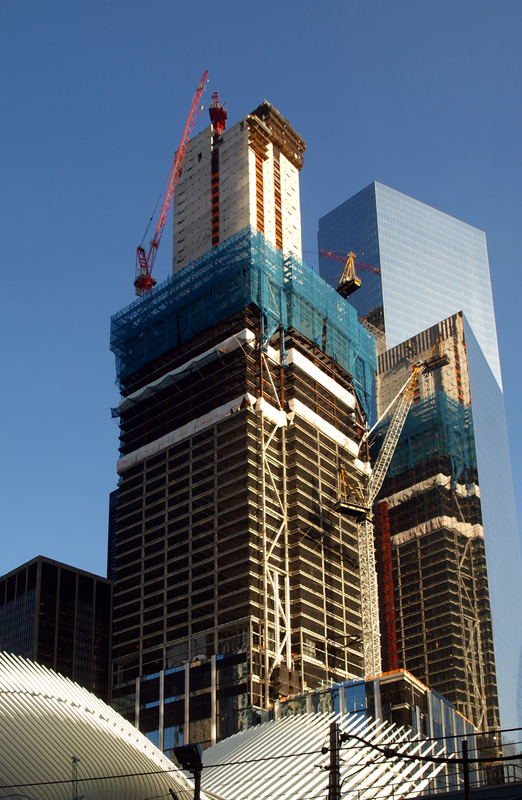 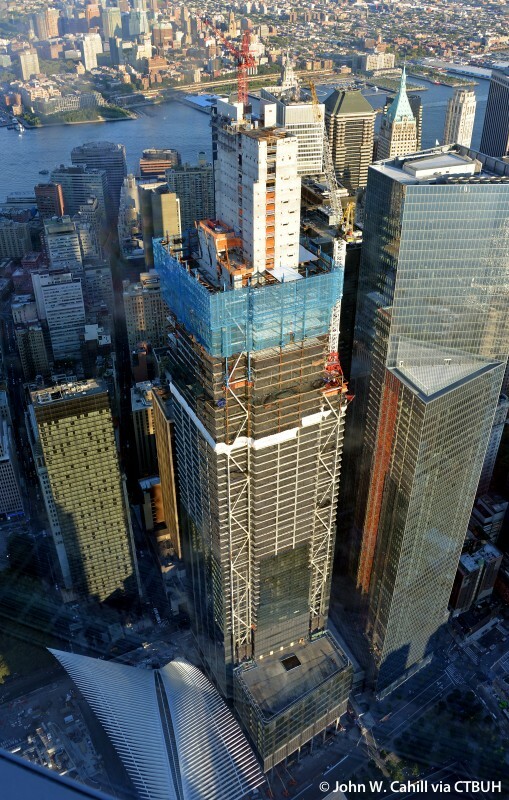 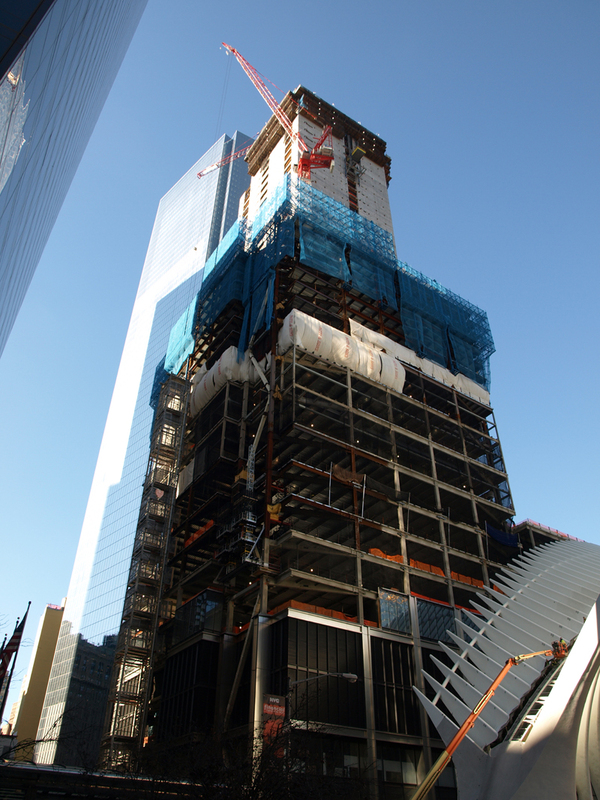 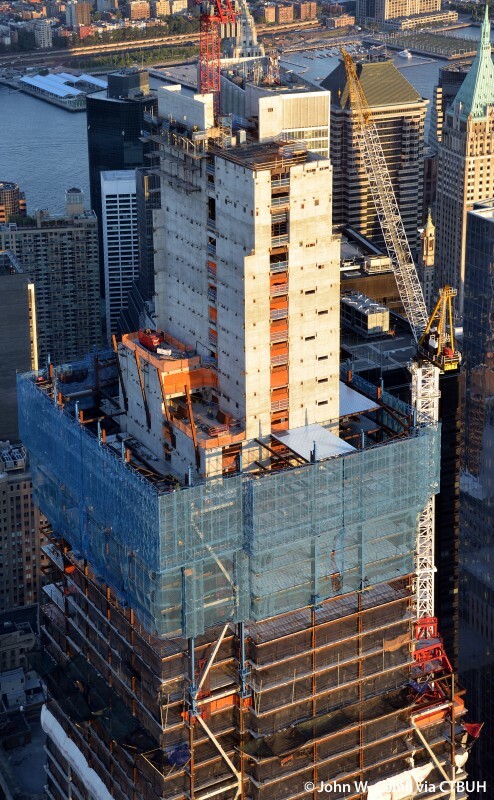 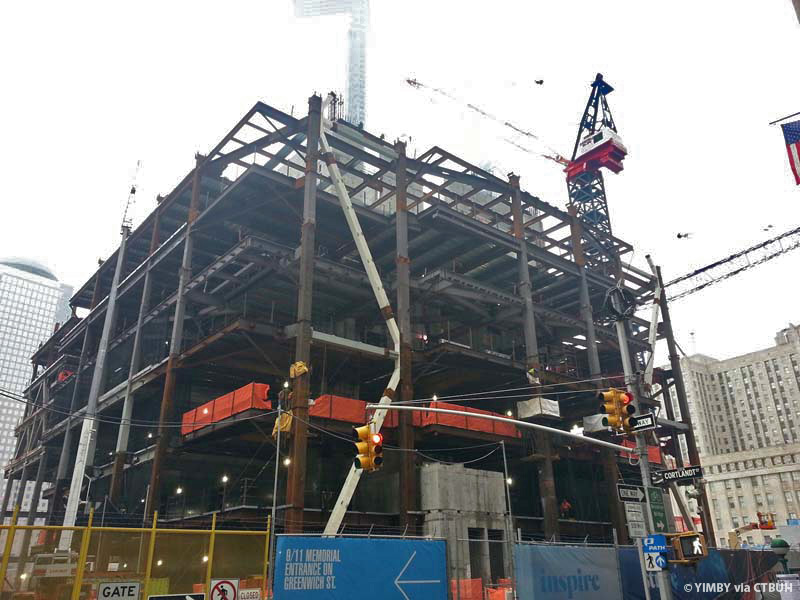 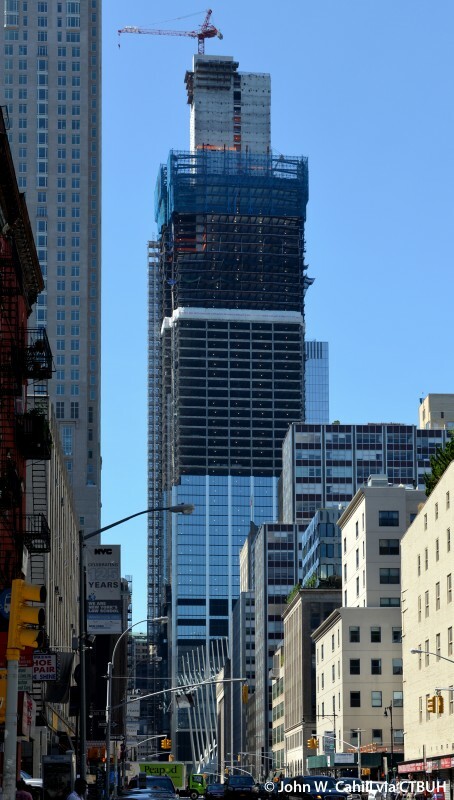 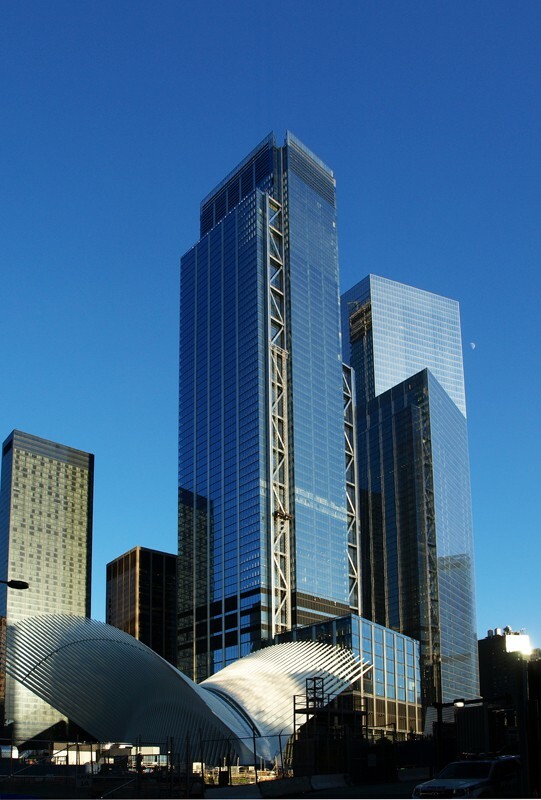 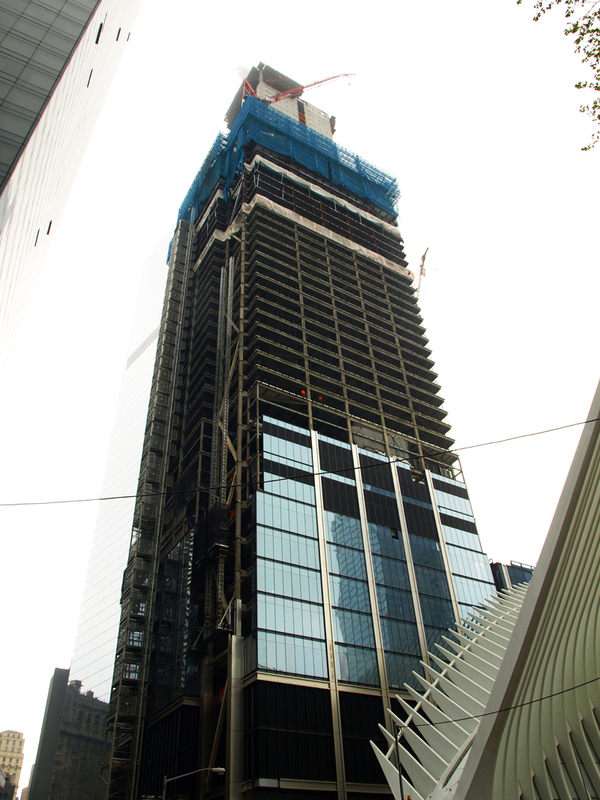 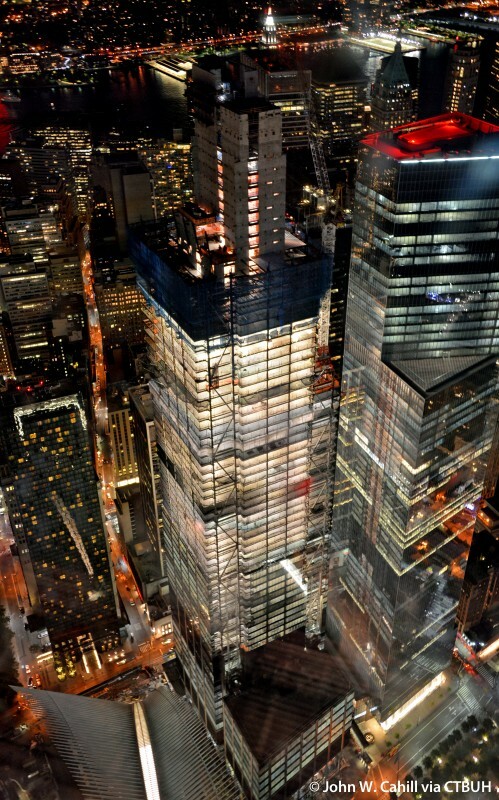 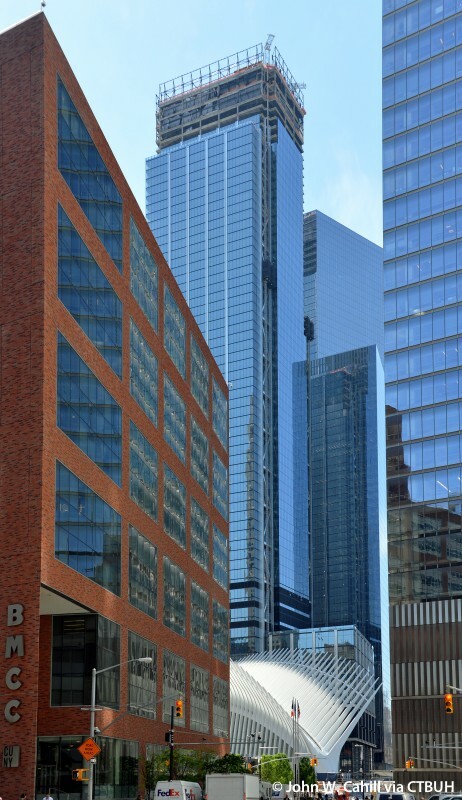 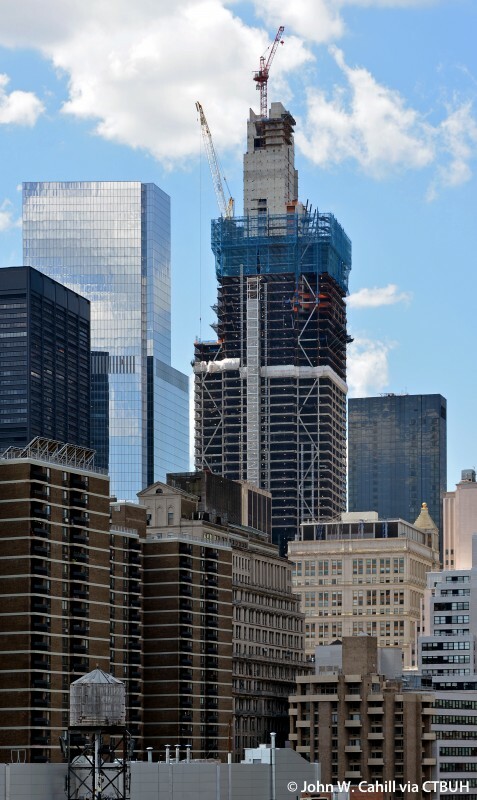 • Façade Permasteelisa Group;	Vidaris, Inc.
• Steel	 ArcelorMittal;	CAST CONNEX;	Owen Steel Company Inc.
As part of the World Trade Center (WTC) master plan in New York’s financial district, 3 World Trade Center is fundamentally linked and fully integrated into its surroundings. 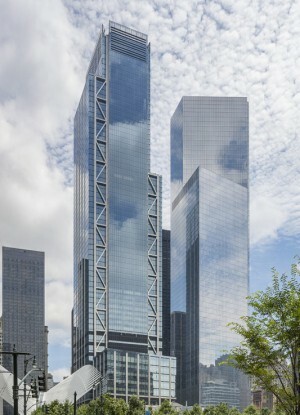 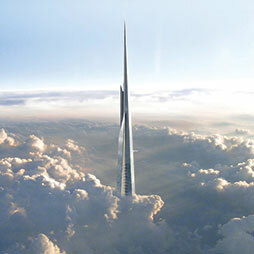 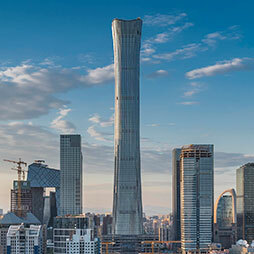 The building’s design cannot be understood in a vacuum; rather it is intimately related to, and inspired by, the other structures within the World Trade Center complex. 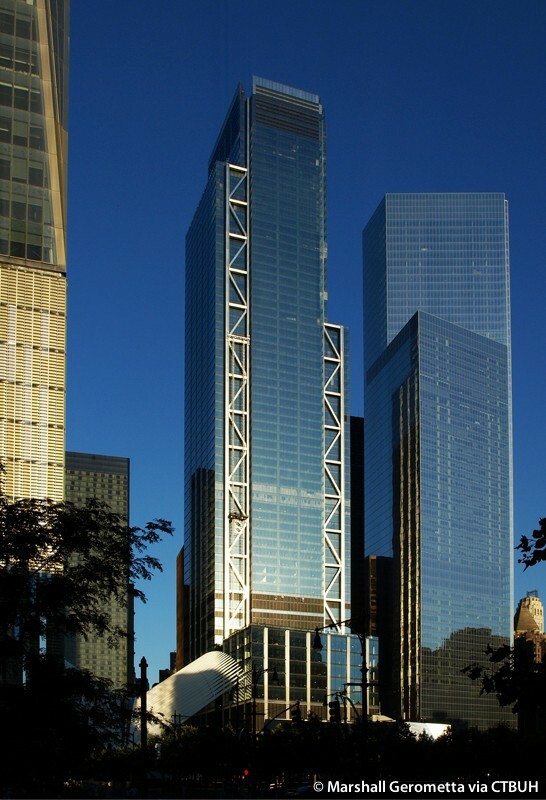 It is located opposite the WTC Memorial and Cultural Center, and at the heart of the cluster of buildings which surround the memorial. 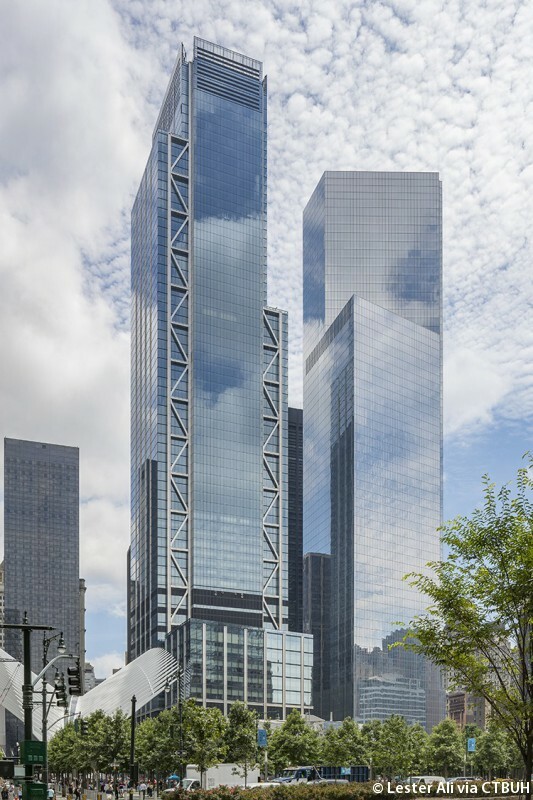 As the complex’s commercial core, the tower had to address the issue of balancing retail and office uses, while also complementing and acknowledging the nearby public space. 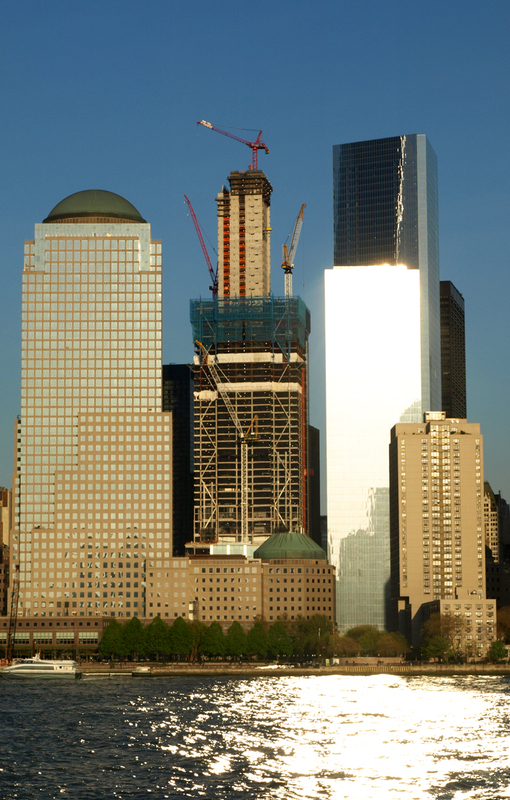 The building has an orthogonal relationship to the main space between the memorial water pools. 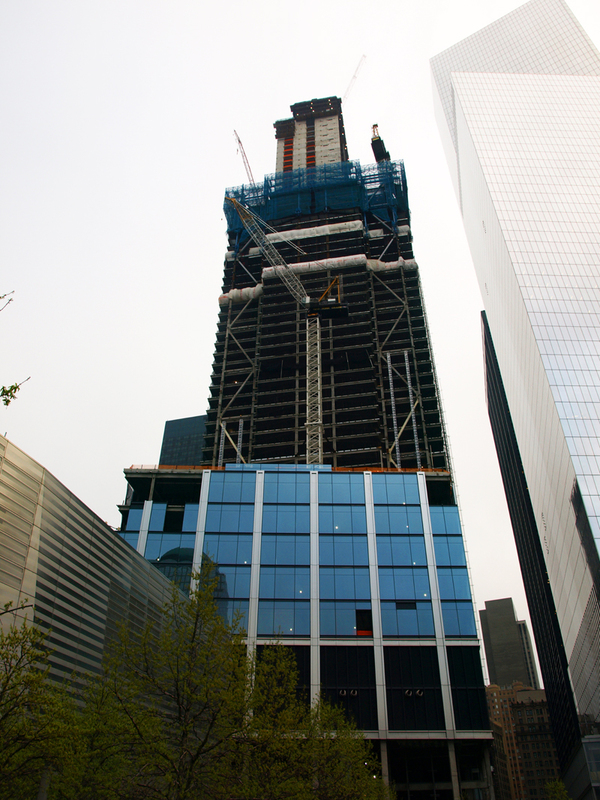 To complement this relationship, the central zone of the building reduces in mass as it rises towards the sky. 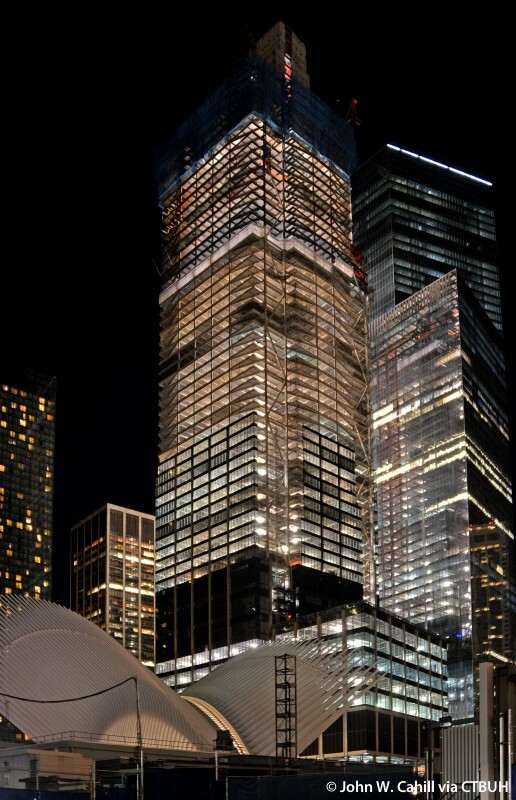 The effect is a stepped profile that accentuates the building’s vertical relative to the memorial, and is sympathetic to the height and positions of the neighboring structures. 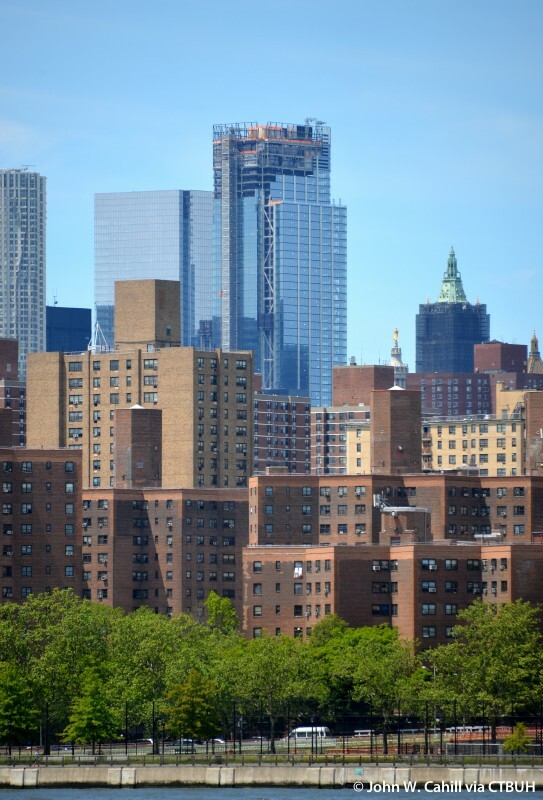 Spires emphasize the height and slender profile of the building both in the local context, and as part of the Manhattan skyline. 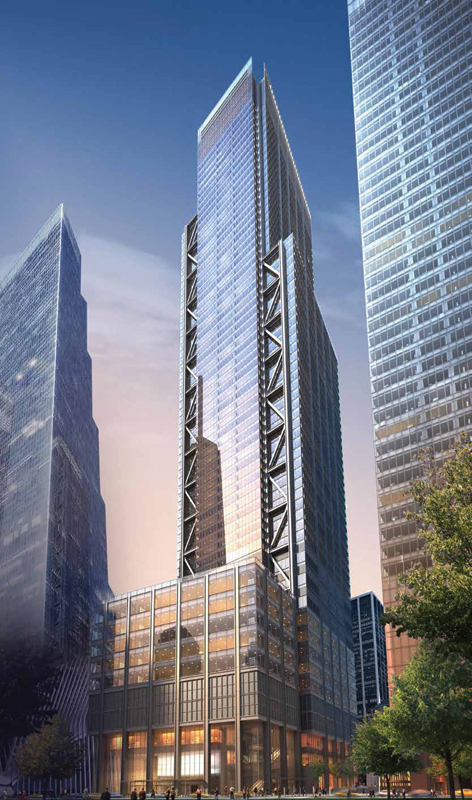 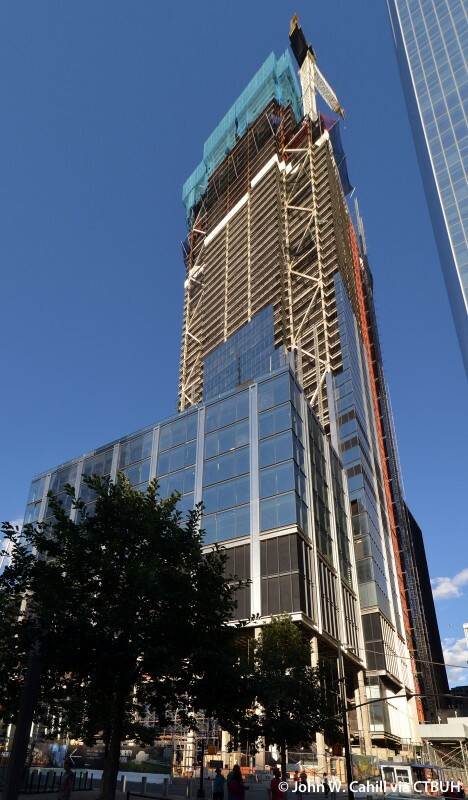 The tower’s podium will house a variety of retail elements and five trading floors, which require large floor plates. 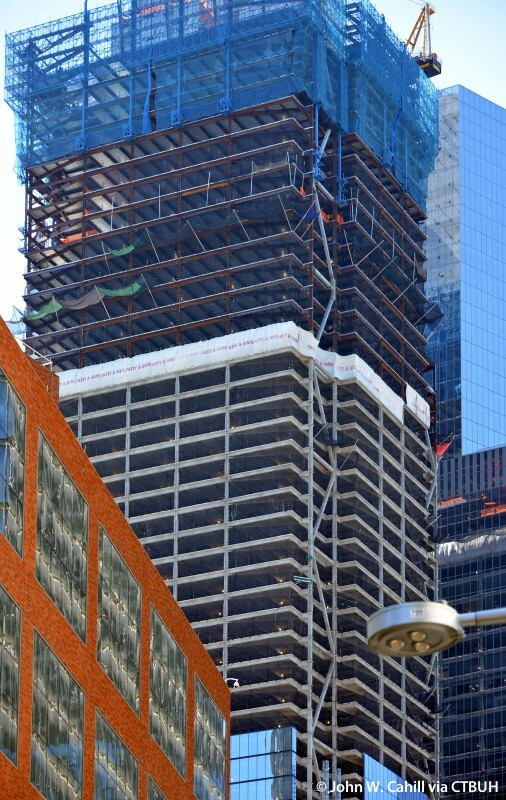 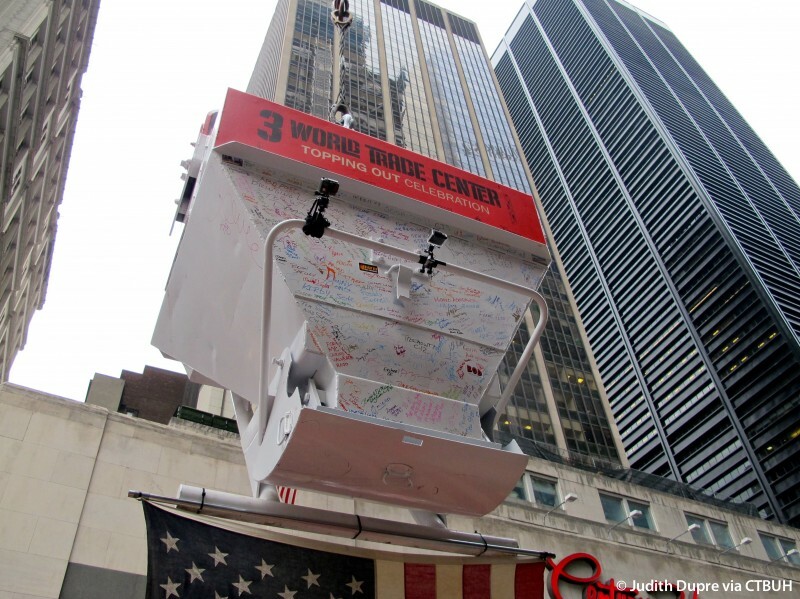 Work on the podium took place early in the construction process, but after the project was put on hold in 2012, it stood partially built until construction resumed in 2015. 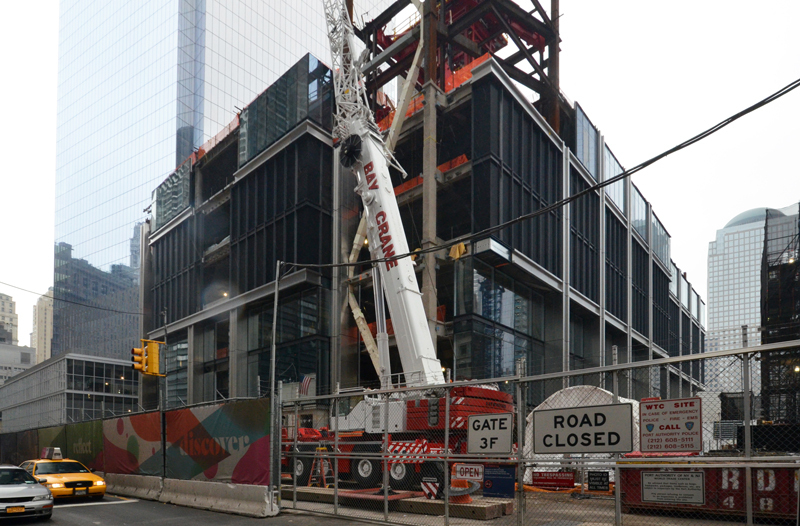 As the building narrows, smaller floor plates will accommodate various office spaces. 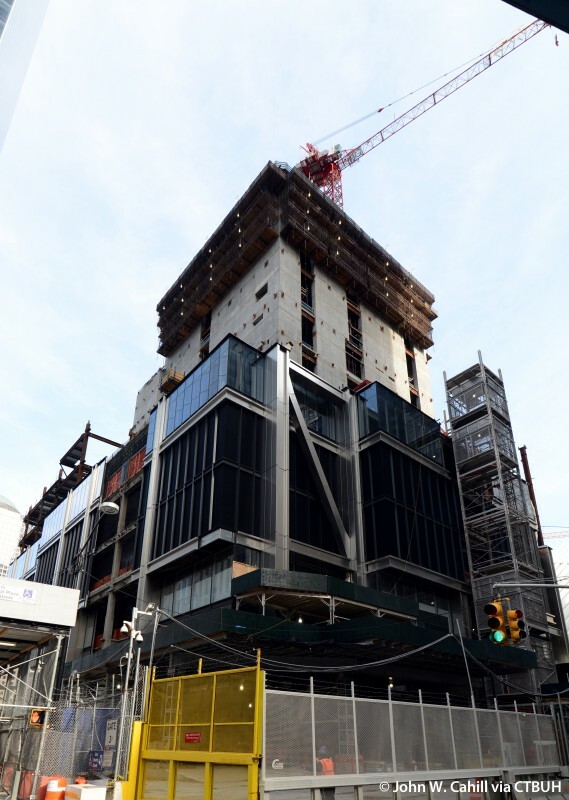 To maximize sustainability in terms of the building’s day-to-day operations, a number of sustainable design features have been included that are expected to give the building a LEED Gold certification. 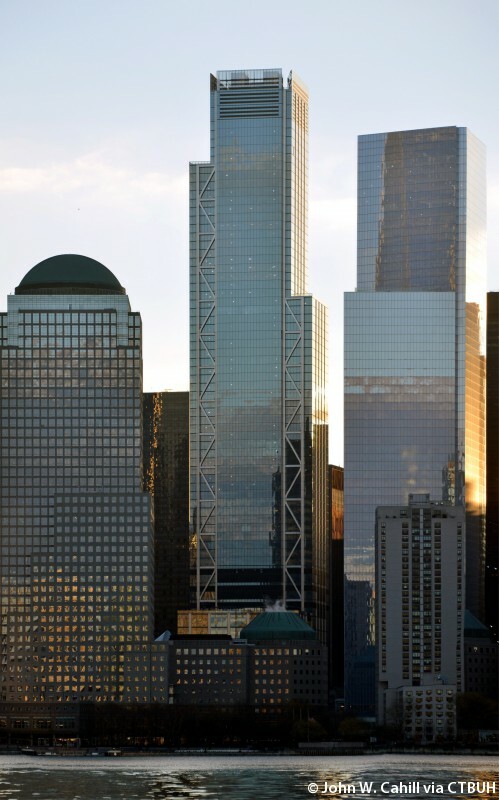 As part of the World Trade Center master plan, 3 World Trade Center manages to interact with its surrounding environment while still maintaining a sense of independence as a standalone structure.